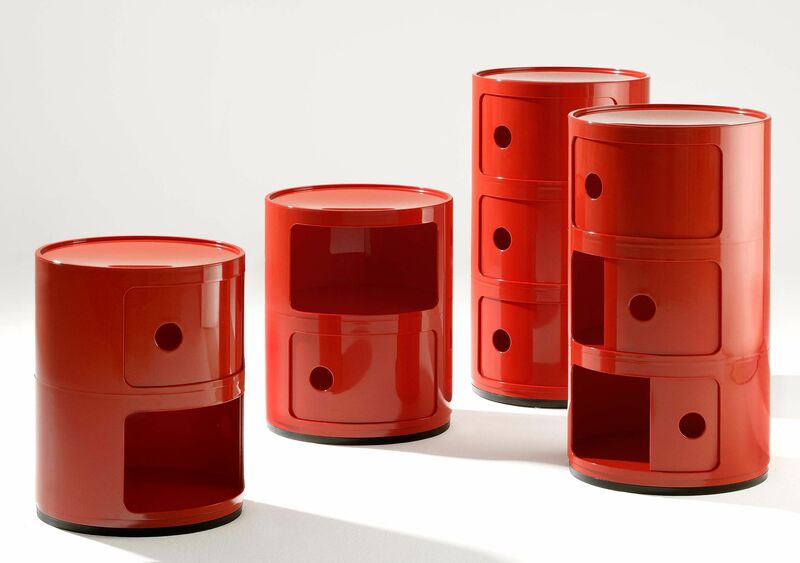 It was in 1968 that designer Anna Castelli Ferreri, wife of the founder of Kartell, created the famous Componibili. 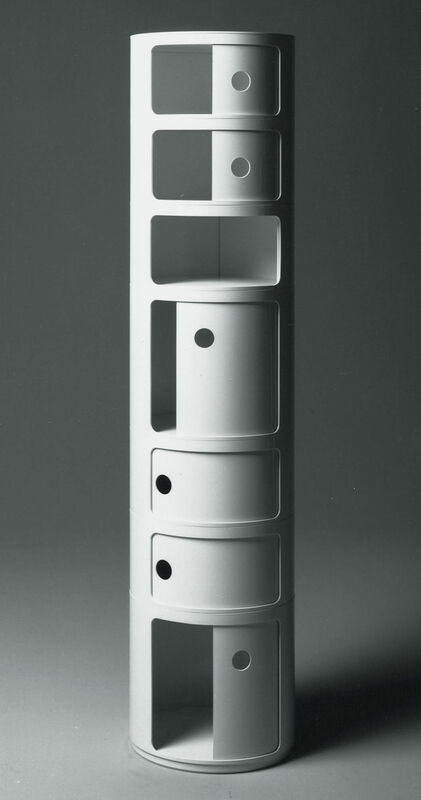 This molded plastic cylinder with its sober, functional lines is a symbol of the break that took place in design during the 1960s. 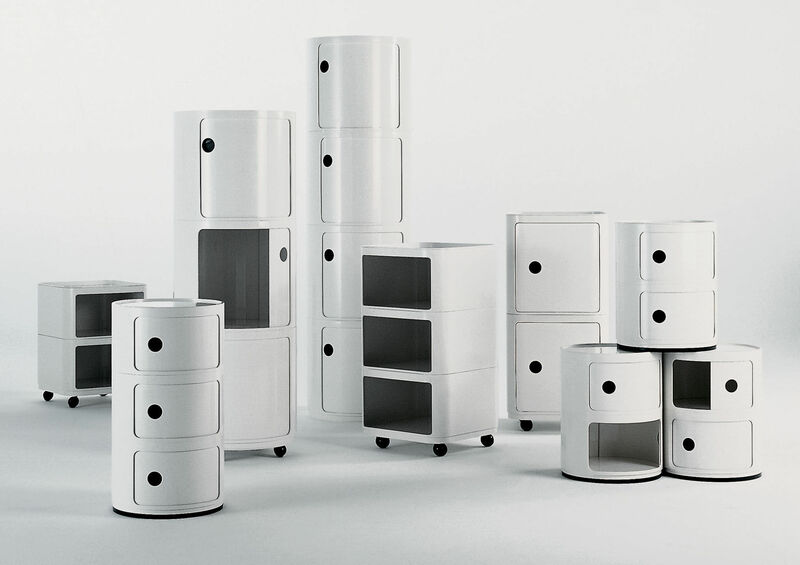 Pop, democratic, accessible, bold, practical, modular: this small piece of furniture responds perfectly to the need for a new society defining itself. 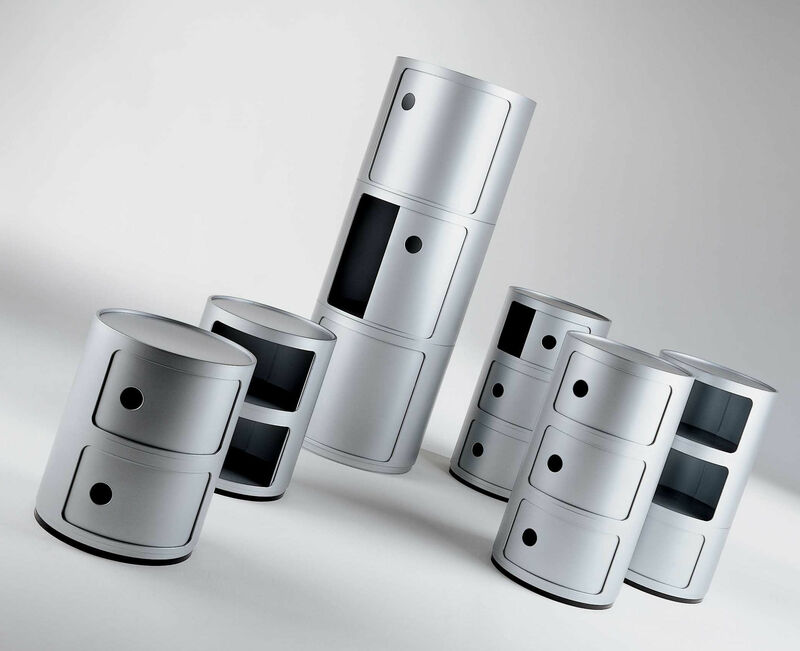 The Componibili would quickly become a soaring success thanks to its extreme functionality. 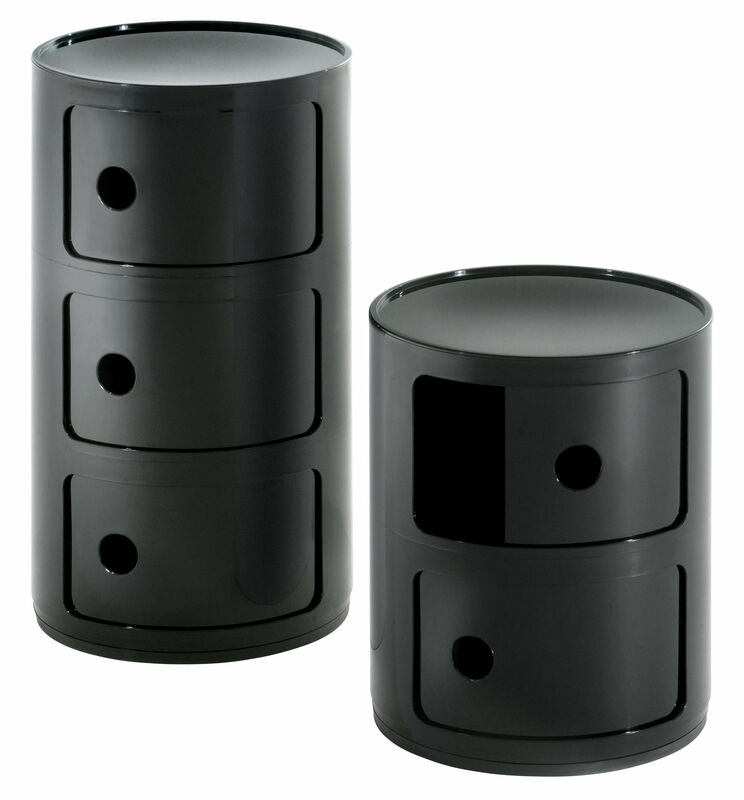 Compact and versatile, it slips into any room in the house, on the floor or on a piece of furniture. 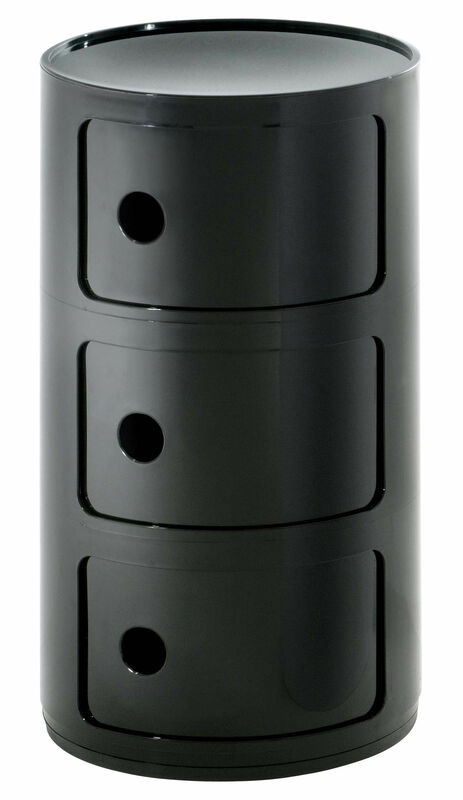 It fulfils several functions: bedside table in the bedroom, side table in the living room, small storage item in the bathroom or kitchen, stool if required ... Produced for almost half a century, the Componibili has established itself over the decades as a true design classic. Awarded numerous prizes, it’s exhibited at the Museum of Modern Art in New York and the Pompidou Centre in Paris.